Do you see what her shirt says? "Where there is great love, there are always miracles!" This precious angel is Zoe'. 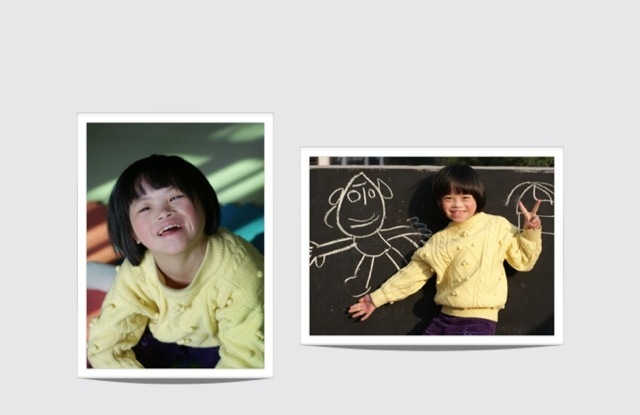 She is 6 years old- born on January 4, 2007. She came into the orphanage at approximately 1 year old and remains there, waiting for her Mommy and Daddy to come for her. 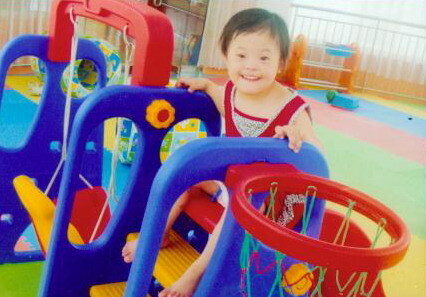 Apart from her diagnosis of Down Syndrome, she is considered healthy. She is independant and can go up and down stairs one foot at a time independantly. She loves to slide and cuddle with stuffed animals. We're looking for a family that's ready to cuddle this treasure forever! This little treasure has wrapped herself securely around my heart! Isn't she precious? She is 7 years old and celebrated her birthday on November 7th. 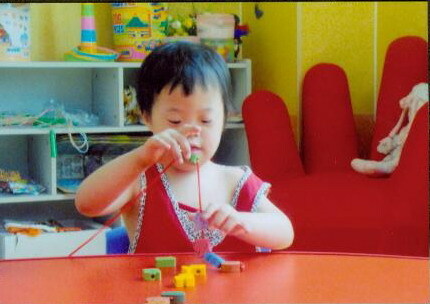 She was moved from the orphanage into a foster home at the age of 28 months and has now lived in that home for 5 years. 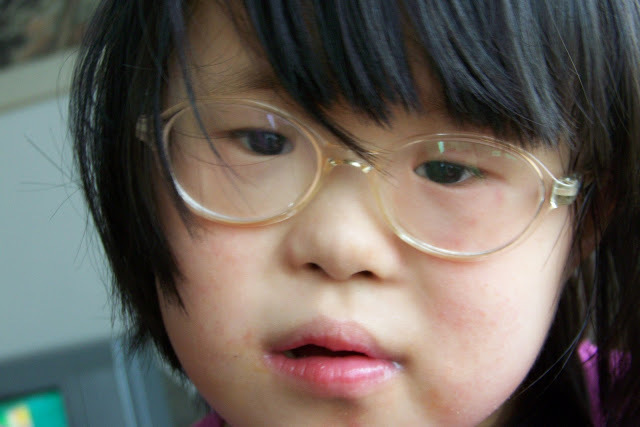 Unfortunately, because of a tragedy in China, all foster children were forced to return to their orphanages. How heartbreaking for this angel! 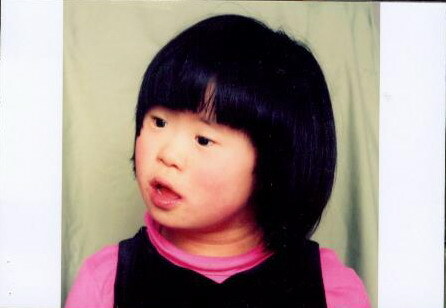 Abby was diagnosed with Down Syndrome when she was brought to the orphanage. She was born with a CHD, but had corrective surgery at 32 months. She also has problems with vision and possibly with hearing in one ear. 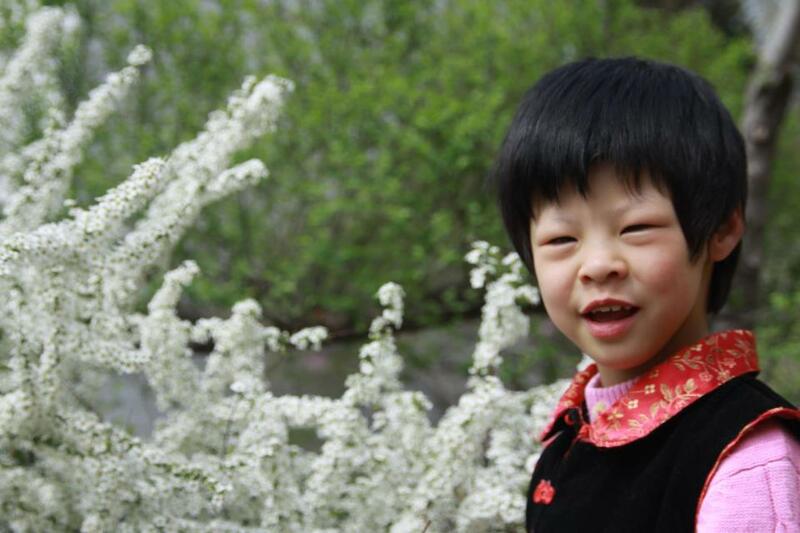 But she is a smart girl and can speak Mandarin and English, which she learned from her American foster mother. Can you imagine the incredible JOY she will bring to her forever family?